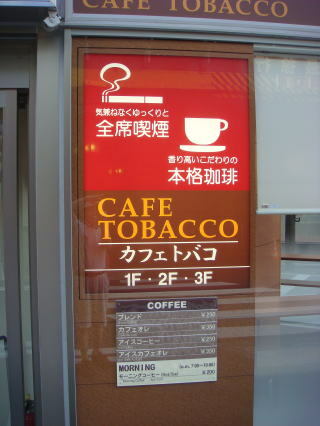 restaurants and bars, in many cases, smoking is allowed; however, smoking is prohibited outside on the street. Most Americans absolutely cannot understand why it is so? countries in Europe, America and Oceania, the government first prohibited smoking in indoor spaces. 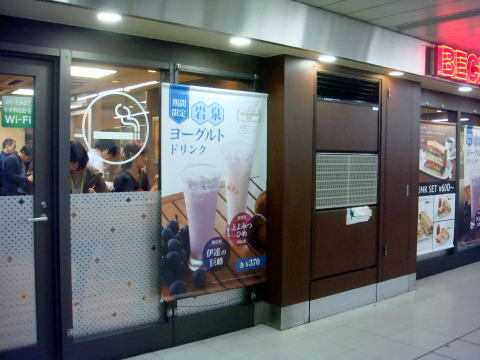 that an eatery facility is private, that is determined the rules on their own. 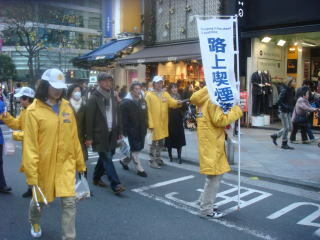 (L) A campaign to promote that smoking is prohibited at street. 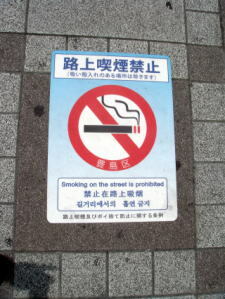 (R) No-smoking labels are placed on a wall, and road pavement. (L) This cafe provides smoking sheets only. 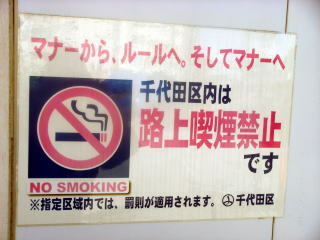 because the Government does not prohibit smoking in a public place anywhere. The article was written in Dcember 2015, and revised in September 2016, by Junhaku Miyamoto, M.D., PhD.